Are you a Student or a Researcher? Do you need to write a research topic or Term Paper? For writing a Research Paper (seriously), you have to go through many references to collect data about your topic. This may be hard to find that information from a regular search engine. That's why Google Scholar was started. It is a search engine to help researchers and students. In this article, I am going to explain Google Scholar. Google Scholar is a Search Engine launched by Google in 2002. It is designed to solve the problem of the world's problem solvers. When you search for any research topic, several research papers (along with books) will be shown to you. There are some great options to customize the search results according to your requirement. You can search for patented researches, citations and can define time slot etc. Let me tell you about its useful features in detail. In Google Scholar, you can also define a specific time range to get search results only of that time range. This benefits us to get any specific research article which had been published earlier (if you know when that article was published). The one another feature here is that you can sort search result by Date. By default, Google Scholar sorts the result by relevance. 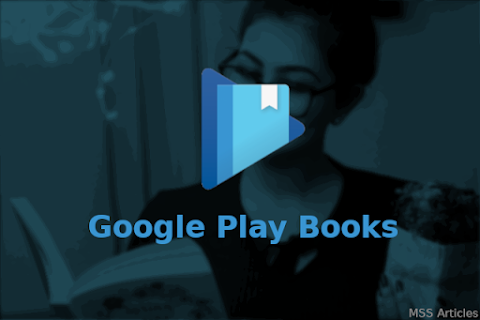 Also Read: Google Play Books Review for Android | Rating: 4.3/5. 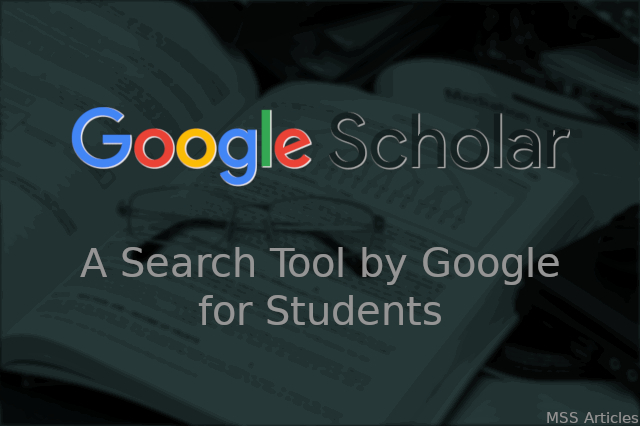 If you are searching about something on Google Scholar and you do not get your required result, then you can create a specific Alert for that search query. When you do so, whenever there is a new article on that topic published on the internet, Google Scholar notifies you for that new article. With Google Scholar, you can tell Google more preciously about your search data. As shown in the above image, you can define the exact phrase to search. If you know the names of the article author, publisher or the date when the article was published, then you will get a more accurate result based on your query. 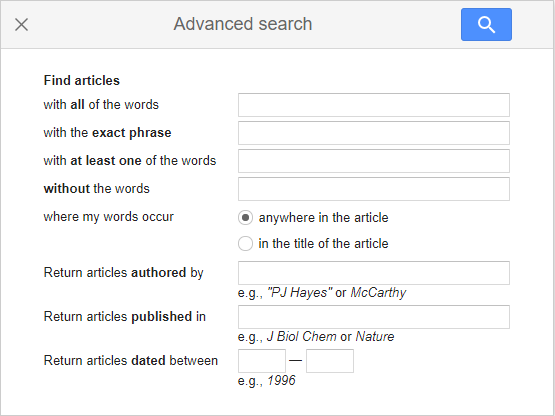 You can be more accurate with these tips to search on Google Scholar. If you are a person who has written some research papers on any field. Then you can create your official Google Scholar Profile as an author. But this feature requires verification through an email address of your organization followed by 2 more steps. Here are seven ways by which you can make your profile better. Also Read: Elon Musk's Starlink will Provide WiFi from Space! Read how. Google Scholar is a nice platform where you can get help with your next thesis. There are some amazing features which let you find your queries in a very specific way. If you are a researcher, then you can create your verified profile to get noticeable by others and can group your thesis in your profile. The only problem is that sometimes you get only abstract of the paper, and to get full research paper you have to pay to their respective commercial websites. But on the other side, this is a required feature to maintain the genuineness of the research. Do you have queries or thoughts about Google Scholar, let me know in the comments below.